Windows 8 Pro will reportedly bump up in price to $199.99 after the introductory promo period. Microsoft previously announced that when Windows 8 launches in October it will cost $39.99 (around £25) to download an upgrade while a boxed version will also be available at retail for $69.99 (around £45). Those prices will be available as an introductory promo until January 31, 2013. According to published reports, starting in February the retail version will jump up to $199.99 (around £127). It is still unknown what the new price for the downloadable upgrade will be after the promo period. The retail promo price is a 35 percent discount, which if the same rate is used for the digital release, it could cost as much as $115 (around £73). 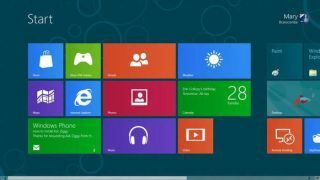 When Microsoft first announced its cheap promo pricing for Windows 8, many users hoped that it would mark a shift for the company's pricing strategy for the new OS. The low price to upgrade would help Microsoft compete with Apple, which prices its operating systems at a significantly lower rate. OS X Mountain Lion, which just launched last month, was priced at $19.99. In addition to the promo pricing, Microsoft announced today that users who buy a Windows 7 PC between June 2, 2012 and January 31, 2013 can register to get an upgrade to Windows 8 for $14.99 (£9.54). Microsoft has yet to confirm the post-promo price for Windows 8 Pro. $199.99 would put the pricing of the new OS above the cost of Windows 7 Home Premium and on par with Windows 7 Professional. So it is not as though the price hike would be inconsistent with Microsoft's OS history.